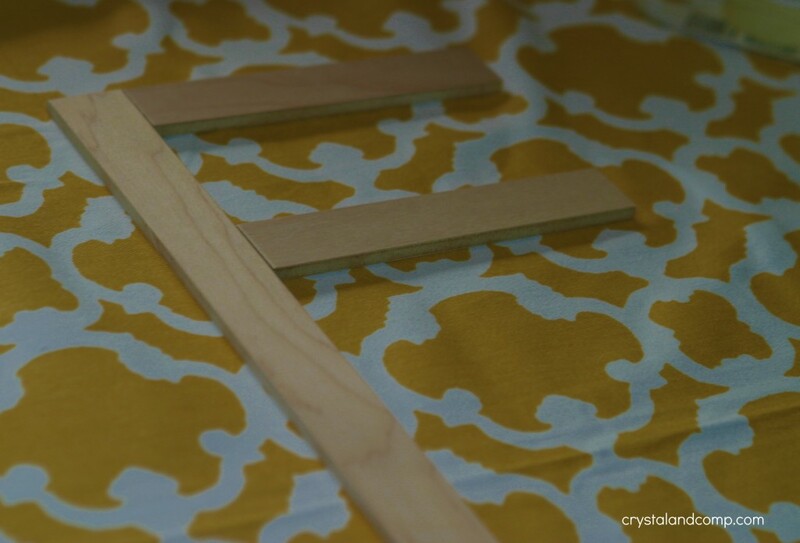 If you follow Crystal & Co., over on Facebook you know I have been on the fence for a while about homeschooling. My husband has been pretty adamant about our three youngest children being homeschooled. Remember, we are a blended family. Our two older boys (currently 5th and 7th grade) have always been in public school. While being very involved parents in their education there are many aspects of public school that we are not pleased with. Nonetheless, for our two oldest boys there are other parents’ opinions that need to be taken into consideration in order for homeschool to be an option for them and we respect that. Friday was Box Day at our house. I am finding this to be the common term used on homeschool forums and threads. Box Day is fun and full of anticipation. If you had asked me ten years ago if homeschooling would ever been in my future the answer would have hands down been absolutely not. By the time the twins were two years old my husband started vocalizing more and more his desire for our kids to be homeschooled. I thought he was crazy. The thought of being 100% responsible for the education of our children terrified me. Teach them to read? Teach them Algebra? Afterall, I do not have a teaching degree. As the years have passed his desire for homeschool has steadily increased and while I agreed with all of his reasons that homeschooling would be a better choice for our kids, I was completely terrified to make the commitment. This is a huge under taking. I asked for one more year of the twins attending Mother’s Day Out for me to research our options. Even though they were 5 years old, I knew an extra year would give them more time to mature a bit and give me some time to really sort this out. And the MDO program they attended was structured and very educational, they were not playing all day- they were learning. After many discussions with my husband, prayer, talking to my friends who homeschool, reaching out to new friends who homeschool, looking into enrichment programs and co-op programs, attending fairs and such, the answers finally came together. 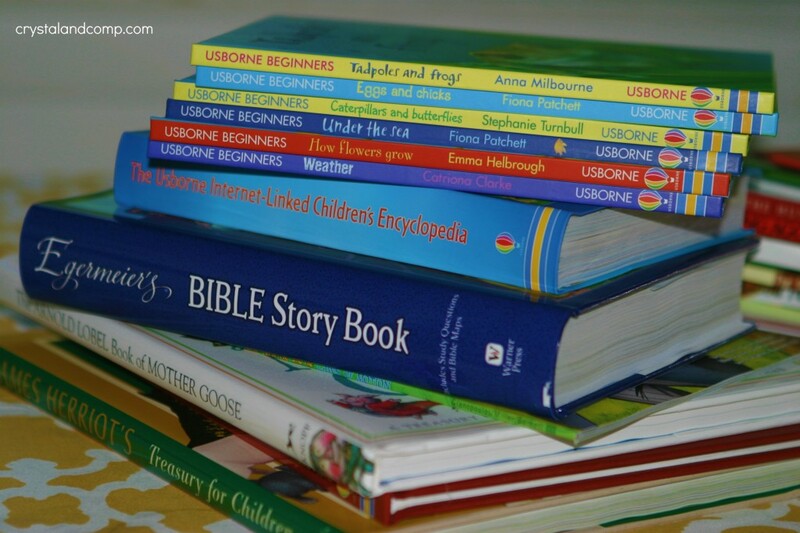 We attended a Homeschool Book Fair here in the DFW area and made our way through close to 100 booths. I could touch and read through all of my options. See it in person. I put my hands on a curriculum that I instantly felt comfortable with. It just felt right. I was confident. I can do this. I spent a good 15 minutes in the booth interviewing a family who actively uses the program. I left with their catalog and spent all of last weekend online reading everything I could about the company, their curriculum, my options, etc. I was ready. This will work for our family! The curriculum we chose is Sonlight. One of my very close friends, who I’ve known since we were 11 years old, used Sonlight at one point in her homeschool routine. I remember seeing it close to five years ago at her house, but at that time it overwhelmed me. One of my sweet blogging friends, Kelli from 3 Boys and a Dog, mentioned recently that she used Sonlight for her older boy when she homeschooled him. She felt it was very straight forward and they had a successful school year using it. 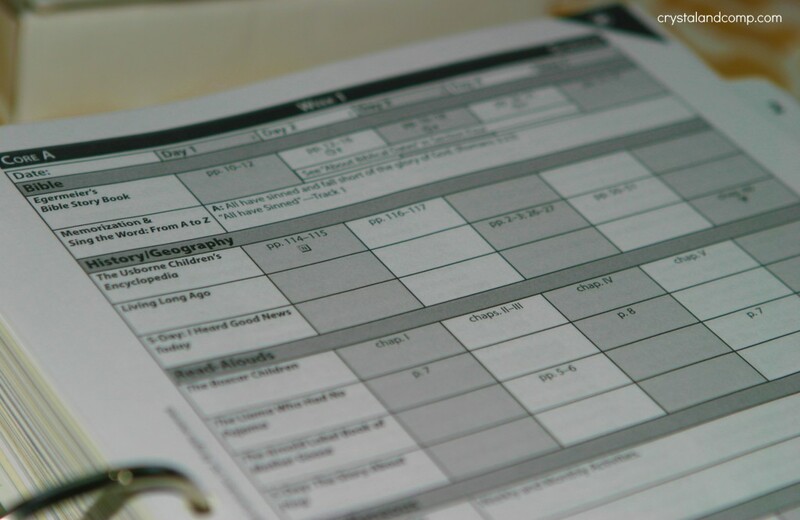 The Sonlight curriculum comes with a well-organized, 36 week lesson plan. There will be no extra planning for me at all (unless I want to). The plan prompts me with research information, questions to ask, suggestions for explaining each lesson, etc. You can download samples to see for yourself if this is a program you want to learn more about. Bible studies are included in the curriculum. It is a core subject which was very important to me and something they do not get in public school. The curriculum is literature-based. 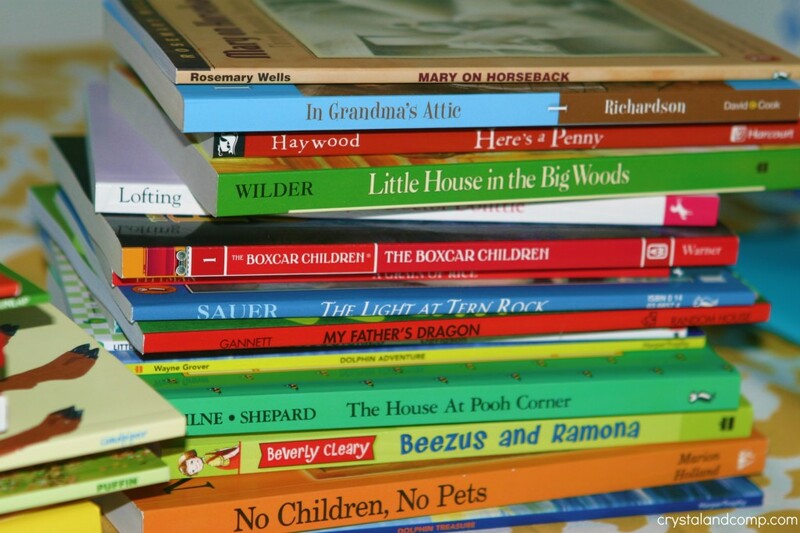 I want my children to have a love for reading and understand the importance of reading in everyday life. That does not mean I will be forcing my boys to read- I am not going to pressure them to be a championship reader; however, I will give them the resources needed as they find their love for reading on their own timetable. I am excited for the one on one read aloud time we will have with this program. 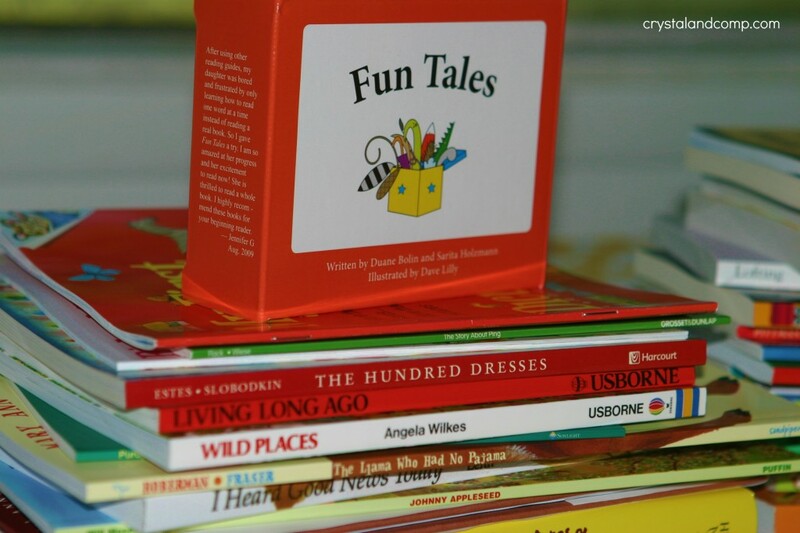 All of these books came with our curriculum. The program came with everything I need. 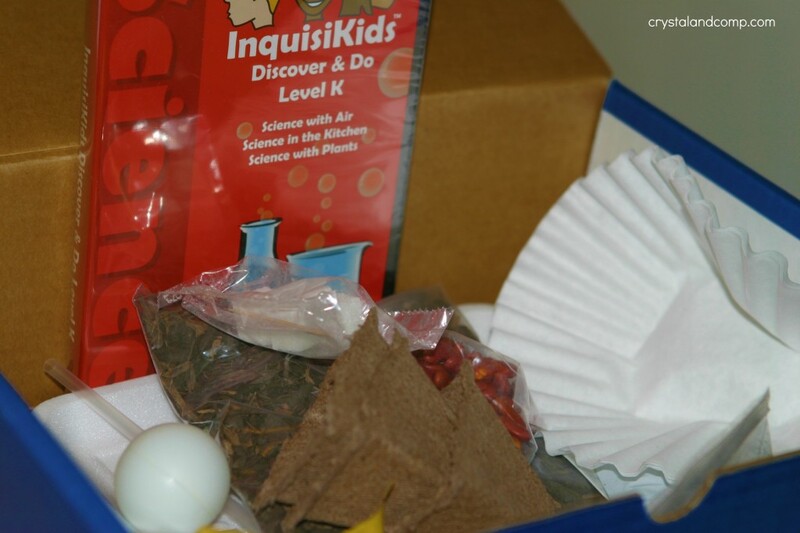 Consumables, all the read a loud books, everything for experiments, manipulatives. etc. We can begin homeschooling this very moment and have everything we need. Here is the teacher version that outlines the objectives, activities to do, teaching tips and the answers to the questions on the worksheets. The handwriting is Handwriting Without Tears. While my twins have a great handwriting foundation already, thanks to Mother’s Day Out, I am still excited to use this program. And even handwriting is hands on. You use wooden pieces (that are provided) to create the letters with your hands. This is perfect for boys who love to build! And there are worksheets, but not overload. 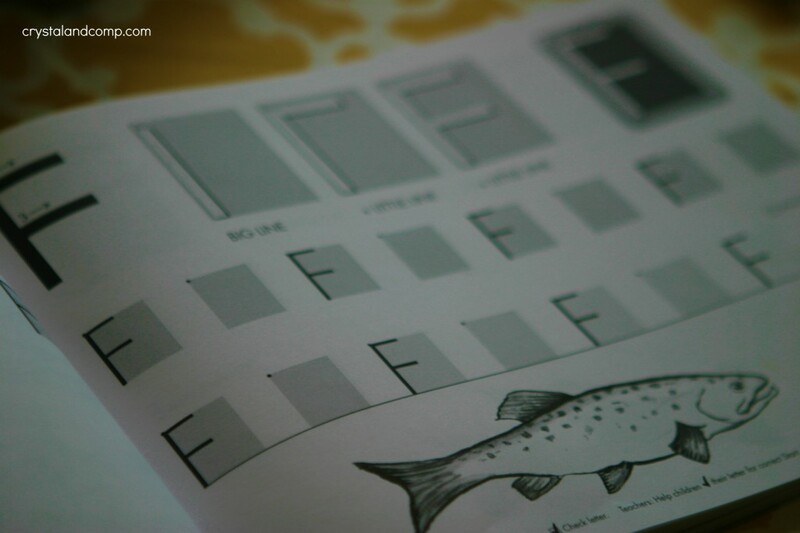 This worksheet is covered over the week as you explore the letter. And the same goes for Science, which is a subject my boys LOVE! During the Mother’s Day Out school year we actually did an extra Science class on Monday’s so the boys could enjoy experiments which make them very happy. 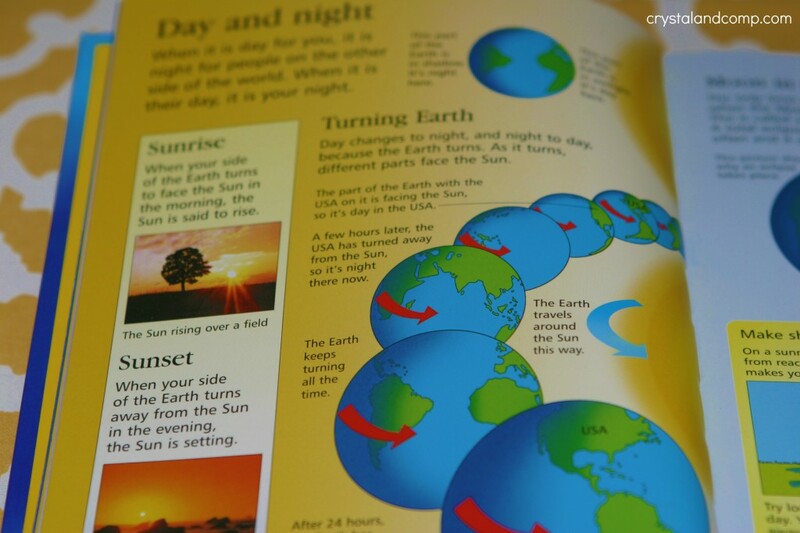 With Sonlight, there are Science worksheets (one for the week). We will use the included encyclopedia to explore the subject further. Then there are experiments which my boys cannot wait to do! And everything we need is included. The subjects covered with the core are: Bible, History/Geography, Language Arts, Reading, Math and Science. That is a full day! You can add electives like music and art but we are going to keep it very basic as we start off and get our feet wet. We are getting our space ready and getting geared up to go. The curriculum has been spread out all over my kitchen table since Friday as I familiarize myself with all of the contents. I am trying to walk my way through what a typical day will look like so I can realistically identify a schedule and baseline understanding. I am so exited to share this journey with you guys and would also love to know if you homeschool. Has it been the best choice for you and why? Are you searching for curriculum and completely stressed out? If so, I can relate. We homeschooled in Texas as well (switched to public school in Colorado). I used Sonlight to form booklists for my kids, actually just ordered the catalog yesterday so I can figure out what they will do during the summer. Have fun! Shannon- it looks like Sonlight has a summer reading program going on right now. I bet it is fun. We are going to go ahead and dive right into Kindergarten/school the first week or so of June. They have been begging me every day, can we start school today? I just want to get everything in order first. I hope you like homeschooling! You sound like me with the wrestling with the decision to do it or not. We’ve been using K12 which is great because they mail you all the curriculum and even a computer to use for free. We did make the change this year with my daughter who is entering high school. K12 is offering less flexibility so we are going with American School. This way I can suppliment with religious studies more easily. We have been teaching them bible studies all along but it’s getting harder with the less flexiblility and that is a priority for us. I hope everything goes well with you! I look forward to hearing more about it! Thanks for your words of encouragement, Debbi. I know there is going to be a huge reward, but I also know there will be challenges. I have heard many people use K-12. Even though I am on the computer a lot with my site, I did not want their curriculum to be mostly computer-based. At this point I plan to use the computer for playing online like Starfall, Spelling City, etc., as added fun. I relly wanted something hands on. I do think that when they are older (high school) an online/computer-based curriculum might be a really good option. Freedom Project Education really grabbed my attention, but I will obviously want to look into it more when the time comes. Sarah- I agree with you, we will take one year at a time. I have already been asked if we will homeschool through high school. We will step with one foot in front of the other…. and see where it takes us. I have a feeling I will be homeschooling my step son by jr high. The older curriculum looks really engaging. He would learn so much about the world. My son however, I think will always be in public school. My former husband is 150% against homeschooling. Which curriculum are you using this year? My stepson is going into junior high this year. He had a rough 6th grade year so part of me hopes/expects he’ll want to come home sometime in 7th. Of course *most* of me hopes he’ll have the best year ever… but I’d love to have him home. My husband’s ex is against me having ANYTHING to do with her kids, but she currently has extremely limited custody based on her poor choices. Right now we just pick our battles, and homeschooling would be a big one! What curriculum? Ha, good question. I have a few things decided, like Math (McGruffy) and a religious phonics program along with Bob Books (teachingwithbob.blogspot.com) for reading. For everything else… I’m making it up! I’m taking the readers I LOVED so much from Sonlight, adding in a few of my favorites, adding in a bunch of Usborne books and creating a Sonlight-like schedule. It’s been *reallyreally* hard! Lol. I figure the best thing I can do with my child right now is read to her, so I probably won’t screw things up TOO badly if I make that my goal! Sarah S recently posted..Usborne Kick Off Party! My elder sister is having trouble to decide which curriculum to choose for her daughter. Her girl is already one year late so she is quite tensed. Now I think I would help her a little bit by informing about Sonlight. I saw the samples. They’re perfect. Lisa- I am so happy you find this helpful and I hope your sister does as well. If she has more questions she can always request their catalog, which is full of great information, and/or print the 3 week samples off online for her daughters grade level. Plus the website is full of great information as well. Personally, I would not be worried about her being one year behind. People wait an extra year to start Kindergarten all the time. At lease I know it is common here in the south. One of the things I really like about Sonlight is that it is not set up as a ‘competitive event’. It is about learning at the child’s pace and having children who are confident about learning not pushed or forced to be learning Trig in third grade. From my perspective, many parents put a lot of pressure on kids to be elite. In my opinion is just makes for resentful learning. I will keep you guys updated on our journey. I am so excited that you are diving right in and starting. That is the fun part of homeschooling…..the flexibility. You can start whenever you like. We have used horizon for math in the past and we do handwriting without tears. We do a Hodge podge of stuff. Good luck. I can’t wait to hear how it’s going! Kim, you have been such an inspiration for me with finalizing the decision to homeschool. 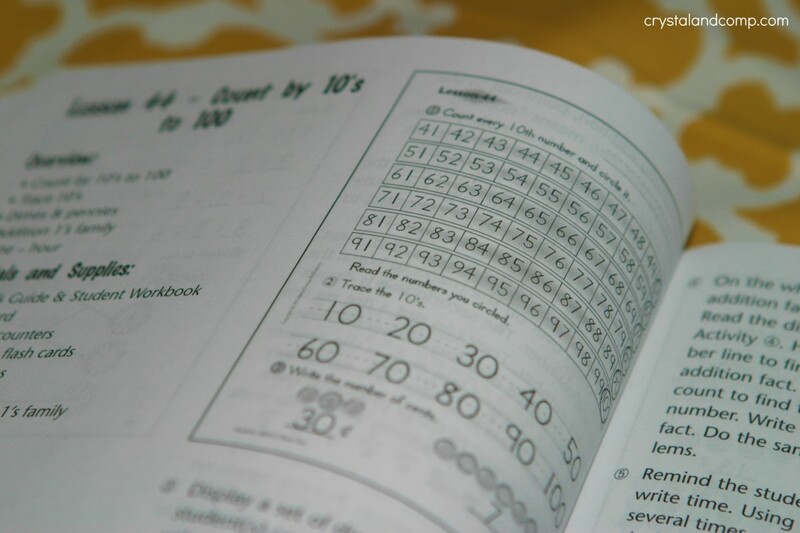 You and your kids always impress me with how seamless and smooth you make homeschooling look. Thanks for always cheering me on! How exciting! We are just wrapping up our 2nd homeschool year. The first year was great but challenging in that we were all having to make some adjustments and figuring out what works best for our family in terms of curriculum, schedules, where to work, etc. But year 2 has been great and we are all loving it. Kim, that is so awesome to hear. I love reading about other moms and their homeschool success. There are so many wonderful blogs that share their homeschool life with their readers and I appreciate that. What curriculum did you end up with? We are using Konos unit study which covers most of our work like history, science, reading, Bible, art, etc. We are also using Bob Jones for phonics/grammar and Singapore math. My son has done really well with these. We struggle with spelling though. Still looking for something engaging and fun that still explains the boring rules for spelling. Konos was on our list as a possibility. We know someone who has used it for years with her large family and loves it. I considered Singapore math for Kindergarten, but I was more comfortable with Horizons. Singapore math is still an option for the future. 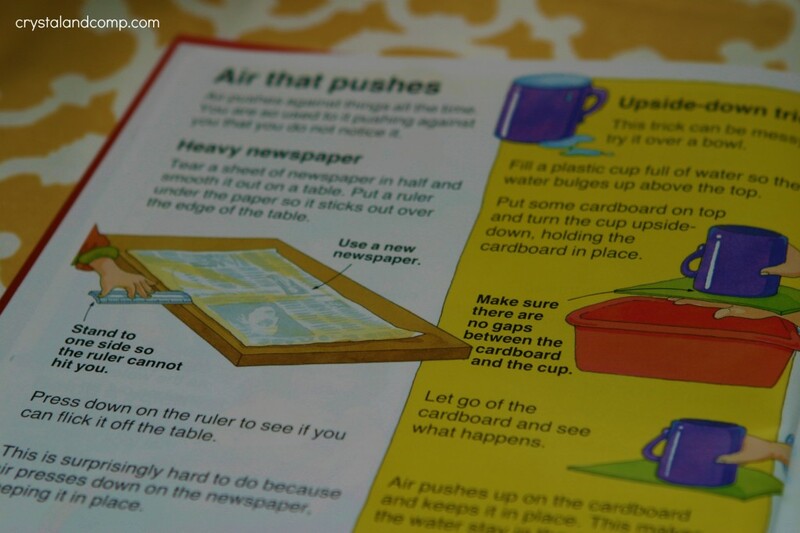 Do you find it easy to teach and are their teaching manuals informative and easy to understand? Actually my husband wanted to get more involved this year in our homeschooling so he asked to take over math…or was it that he knows I’m not very good at math??? Either way, I don’t work with the Singapore curriculum directly but I can tell that my husband can teach it easily with hardly any prep time and my son is doing really well with it. Kim, my good friend who homeschools and is a mom of six has the same arrangement with her husband. Her oldest is 15, so having dad teach math rocks for them! Congrats on your decision. I completely agree with your husband. I have homeschooled all my children since the start, going on 18 years now. It’s one of the best choices I’ve ever made. With the Internet it’s pretty simple to find what you need academically, plus Sonlight, etc. But, to me the ability to help my children grow up feeling loved and confident and be able to grow their own personal talents, are really the main reasons why I love homeschooling. Plus, even the kindest teacher wouldn’t ever enjoy being around and loving my children like I do. Best to you! Printabelle- I could not agree with you more that no one will love my kids like I do. Not to mention, having two older boys in public school, we have seen the things they are exposed to. It is really important to us that our boys grow up knowing our morals and our life guidance and not the influence of a teacher that might or might not truly have a vested interested. Not to mention the things kids expose each other to- even as early as 9 and 10 years old. Besides, the twins have literally begged to be homeschooled. Their reason- ‘We love you mommy and we want to be home with you. We want you to teach us.’ I would be a fool to turn their love away. Awesome, I will check it out. I applaud your dedication. I went to a private high school but I’m really becoming keen to homeschooling. I don’t have any kids yet but I’m getting ready in advance. 🙂 I recently read that TV reporter Ben Swann was homeschooled. His mom had some accelerated method which led to him graduating high school at age 11. So fascinating! 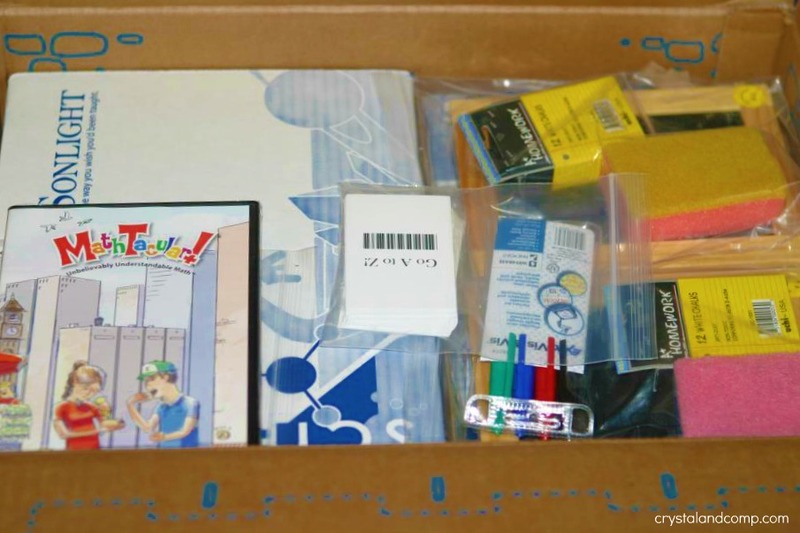 This will be my first year homeschooling my son and we chose Sonlight too! I was so excited to look through all of our curriculum. We’re doing Core A with Sonlight right now as well and it’s our first year. My kids are 5, 4, and 3…so mostly it’s the 5 year old doing Core A and the other two pop in and out as they please (or as they displease me, lol). We’ve been going very slowly. We started in mid-February and now we’re on Week 8. Sometimes I worry about getting behind and then remind myself that it was exceptional life circumstances and that we’re homeschooling so it’s not a problem. What would have been stressful would have been trying to keep up a public school calendar during that time! We love the book selections and the history and science books. I have to say we haven’t been overly impressed with the science experiments, which is disappointing for my son, but I think/hope that will improve as the ages go up. We’re using Singapore Math and I’m on the fence about it. We like it, but I wish that I had a teacher’s manual to tell me what to say/how to explain it. I don’t care if it’s just a number line. lol. We aren’t doing HWOT, we actually don’t have a handwriting program at all. We’re using All About Spelling Level 1 and we really like that a lot as reading/spelling curriculum although we use the Sonlight Grade 1 readers as well. Jamey- I think part of the beauty of homeschool is letting it suite your family and customizing it to your needs. 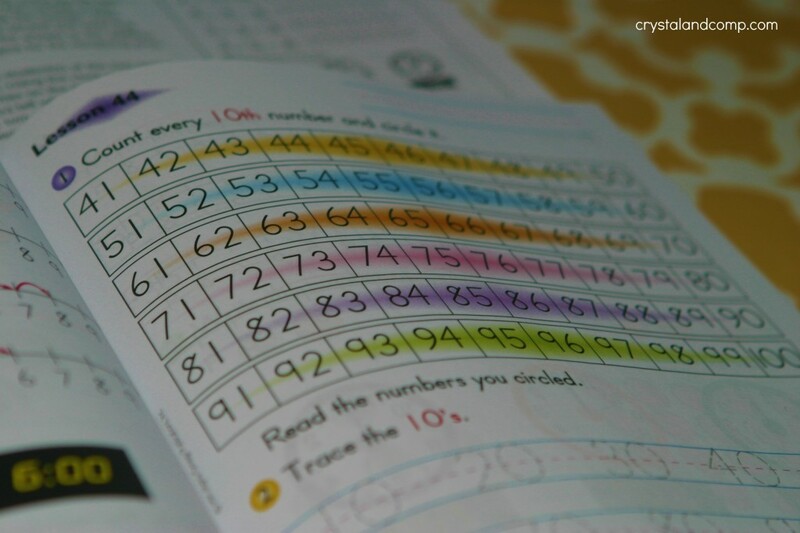 I was very interested in Singapore Math, but opted against it for the very reason that at this level it did not come with a manual. I am like you, walk me through it as the parents so I can ensure for myself that I am not missing something in delivering the lesson. Horizons, so far, has an excellent instruction manual for the parent. It is a bit fundamental, but that is ok by me. In regard to HWOT, my boys like the hands on aspect of building the letters with the wood pieces. We also purchased the optional Get Ready for the Code which studies the alphabet in the same order as HWOT. I think those two together plus the activity sheet (even though you only do one section of the activity sheet each day) is just too much handwriting. As we get into the hang of the curriculum and our schedule, I will learn how to space it out better. For example, Friday is a light day with just Bible, a little History and a little Science. I am thinking I can save some of the handwriting for that day maybe as an attempt to spread it out. I have to agree, I love the book selections. I am excited to read My Fathers Dragon, In Grandmas Attic and others. The boys are LOVING Boxcar Children. Thank you SO much for this in-depth post! We are planning to homeschool and Sonlight keeps popping up in our path and your post gave me some great information. 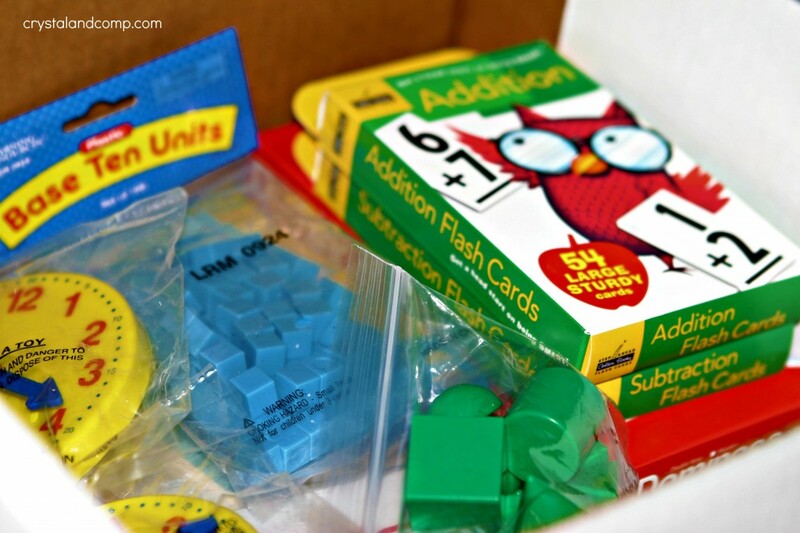 I love that it comes ready-to-go and with so many books plus manipulatives. Thank again! Loved hearing about your Box Day and reasons for choosing Sonlight. We also use Sonlight and really do love it. After 3 years of using other curriculum, we turned to Sonlight in order to avoid burn-out and I am oh-so glad! It’s a wonderful program and it will make your relationships with your kids stronger as you learn together. We love it! Shannon- it really is a well laid out curriculum and easy to change up to meet the needs of your family and your children. We will soon be starting our 4th year of homeschooling and 3rd year of using Sonlight. We LOVE Sonlight!! We’ve completed Core A and Core B and just recently had “Box Day” for Core C. We have three boys ages 8, 6, and 3 who can’t wait to read our new books. Due to certain circumstances, I am having to work part-time outside of the home right now. It would be very difficult to homeschool during this time if I did not have Sonlight because I don’t have time to create lesson plans, and I need something that is easy for my husband or a babysitter to follow when they work with the boys while I’m gone. Sonlight’s educational philosophy and structure is perfect for our family. It truly makes learning (and teaching) fun! I have read every page in Sonight’s catalog and am so excited about what we’ll all be learning as we continure this journey through the upper grades. Hope you enjoy homeschooling as much as we do! Lisa- I have heard many people say that Sonlight does make it easy for families with circumstances such as working parents outside the home. Thanks for cheering us on and for taking the time to leave your sweet words! Thank you so much for posting. We are in a similar situation with 28-month old twins. Except I’m the one who keeps thinking about homeschooling, while everyone (everyone- everyone) is telling me that I’m crazy. I’m so glad that there are wonderful people like you that post your lives to help other like me. This fall will be our second year homeschooling my high schooler. The curriculum we used was just a tad difficult for her to understand. I have looked into Sonlight before. It maybe something we use next year. I hope that it will be a Aha moment and she will have an easier time of it. 🙂 I was like you and was worried that I couldn’t be her teacher. But she finds me much more understanding than teachers in public school. her self esteem is so much better than it use to be. I’m so glad I made the decision to teach her myself! Ok, can we be friends? I’m a professor (of education no less) who has decided to homeschool using Sonlight. I have a 5 year old, and will be doing core A as well. I’ll be checking back to see how things are going…let’s keep tabs on eachother, ok? Darci- so far so good for us with Sonlight. We are really enjoying it and being a first time homeschool mom I needed a curriculum like Sonlight that walks me through what to do day by day. You can see our entire homeschool journey here: https://www.crystalandcomp.com/category/homeschool-2/.